Food Allergies and Intolerances: What's What? Non-invasive body contouring is currently the highest in-demand aesthetic treatment, caused by an increased public awareness of the non-surgical options to reduce unwanted fat on the abdomen, thighs, buttocks, arms and chin. Clinical studies have proven that exposure to 635nm light causes a stimulation of the subcutaneous fat cells, resulting in the release of triglycerides into the interstitial region of the body. This requires the proper balance within a person’s system to efficiently process the excess fatty acids. Results for the patient are the utmost priority and providing every patient with a complete set of tools to reach their individual goal is a necessity. The patient should drink plenty of water to flush their lymphatic system, and of course their diet is important, while some form of exercise is beneficial, but neither has to be restricting or stressful to achieve the desired effect. All light in the mid-600nm wavelength, whether it is laser or LED, will cause the reaction of the fat cells and the two key factors are the amount of light energy delivered and the wavelength. The Contour Light produces up to 100 times more light energy than competing systems in this market, at the same 635nm wavelength. 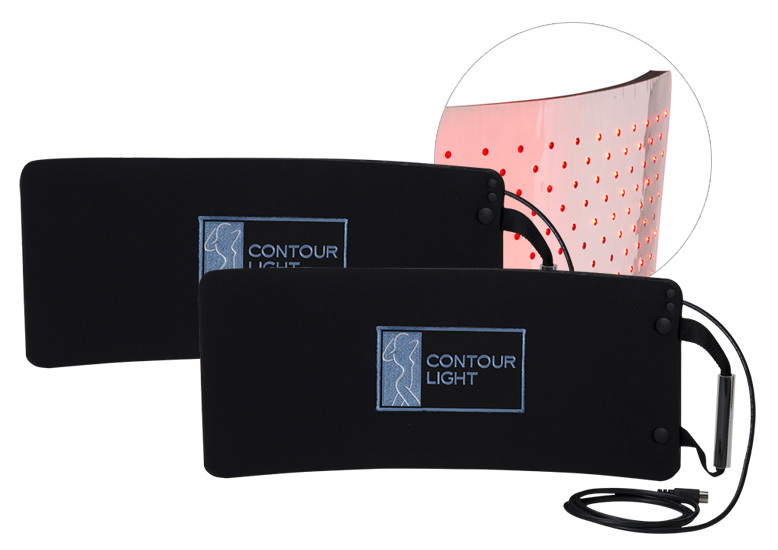 The Contour Light treatment is pain-free, with no heat or discomfort, and is safe to operate for both the patient and the technician. In 1998, a Colombian physician discovered that exposing a patient to a mid-600nm red light prior to liposuction surgery caused the subcutaneous fat to be much easier to remove. Additional testing was conducted and the results were astounding; the mitochondria within the fat cells became stimulated by exposure to 635nm light, causing them to create “transient pores” in the cell membrane. These transient pores allow the contents of the cell to escape and be released into the interstitial area of the body, resulting in a shrinking of the fat cell. The contents, triglycerides (water, glycerol and fatty acids), then enter the lymphatic system and are transported to the liver. The studies indicated that, as the triglycerides are carried away by the lymphatic system, the volume of the treated area contracts, resulting in a reduction of the circumference of the patient’s body. In patients that are maintaining a healthy diet, exercise regularly and drink plenty of water, the results can be dramatic and measurable with just one treatment. Because the Contour Light device delivers up to 100 times the light energy of competing systems, the fat cells are bathed in the highest level of 635nm energy, providing the deepest and most complete exposure to the light. 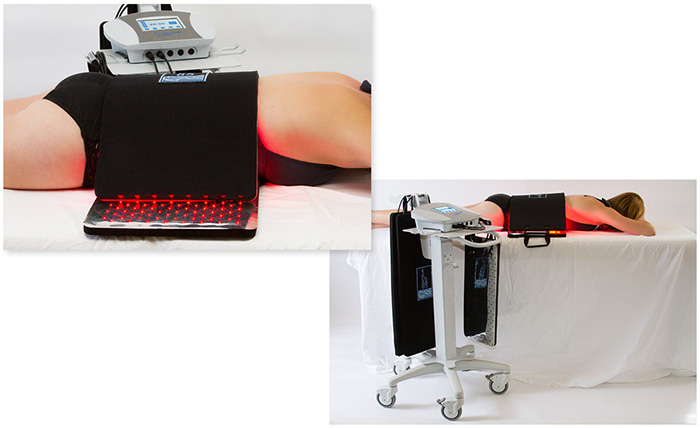 The treatment is painless; there is no heat or discomfort involved and no risk to either the patient or the operator. Completely safe. Totally effective. The results? Incredible spot reduction on the arms, neck, back, breasts, saddlebags, inner thighs, buttocks, knees- virtually anywhere you have excess fat. Would you rather work hard or smart? LLLT stands for Low Level Light Therapy. This is different than a medical or aesthetic laser treatment because the energy emitted by a LLLT device is much lower than a medical or aesthetic laser system. The effects on the patient’s skin with a LLLT device are gradual, as compared with a medical or aesthetic laser that delivers an immediate response. LLLT devices are much safer to operate as compared to medical or aesthetic laser systems. The patient will lie on a treatment bed and the pads are placed over the area to be treated. The system will be turned on and the patient will feel a slight warming sensation, but no pain or discomfort. Most patients can read or use their phone/portable device, while some will even take a short nap. The fat gets flushed out through the lymphatic system for the liver and the colon to break down,and eliminated from the body. Safely and Naturally! Results will vary from patient to patient, primarily due to the commitment by the patient to their goals. If a patient maintains a healthy lifestyle of a diet and exercise program that promotes weight control, their results can be long term. 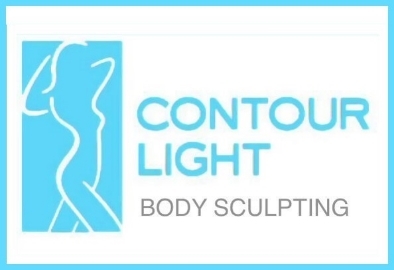 A Contour Light treatment is safe and effective for anyone who does not have a medical condition that reduces their ability to eliminate waste via the liver and kidneys. Patients are recommended to consult their physician before starting any type of diet or exercise program. Do patients need to follow a strict diet and exercise regimen? 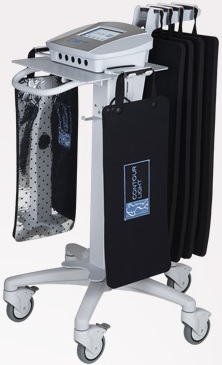 The Contour Light can be used on any part of the body; hips, waist, thighs, back, upper arms and neck. There is no evidence that a 635nm treatment will cause an elevation of triglyceride or cholesterol levels. These treatments are totally safe. 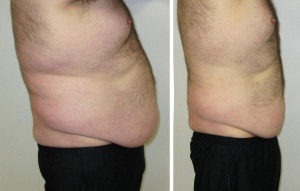 Will a 635nm device work on an obese individual? Clinically obese patients can benefit from a treatment involving a 635nm device. Just as with any other type of patient, the improvement in appearance has a motivating effect, enabling the patient to apply an effort that can provide exceptional results in the long term. To achieve optimal results with the Contour Light treatments, the patient should follow the simple steps outlined in our protocol. This protocol involves a moderate diet, minimal exercise, reasonable water consumption and daily supplements. Any individual who is committed to improving their appearance will have no problem following these guidelines. "I've had back issues ever since I had a seizure several years ago. I started seeing Dr. Hill and it has helped immensely. I have far less pain now and he taught me some stretches for when it does bother me. I usually have my 7 year old son with me and Dr. Hill is great at interacting with him and explaining how things work. The front desk staff is very friendly and welcoming." "I would like to thank the fantastic team at Goshorn. Dr Hill has been wonderful and helping me with my back issues. A true miracle worker. The entire team has been very friendly and professional."